Ballet shrug sleeve style made of white twinkle satin, embellished with swirls of embroidery and rhinestones. 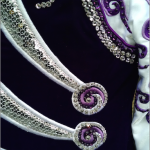 Bodice is beautiful dark, rich purple velvet with sequined silver swooshes across abdomen. 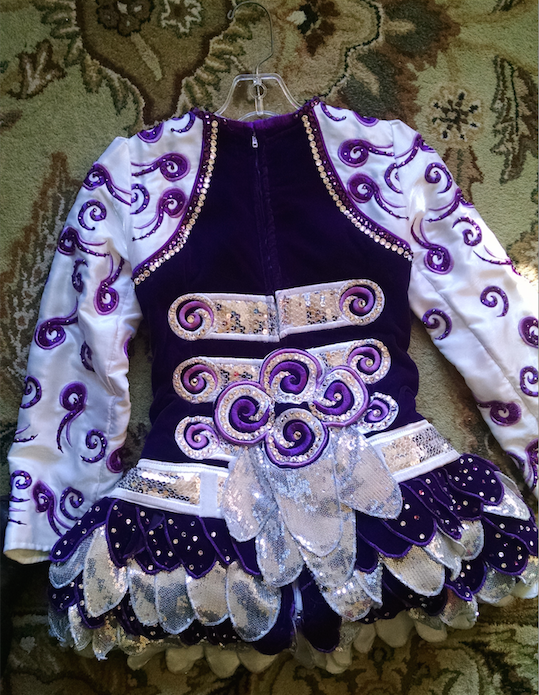 Soft petal skirt is made with finished-edge dark purple velvet and silver sequined fabrics. Please note all the petals have a finished edge, they are not just raw fabric edges. Cape attaches with snag-free Velcro®. 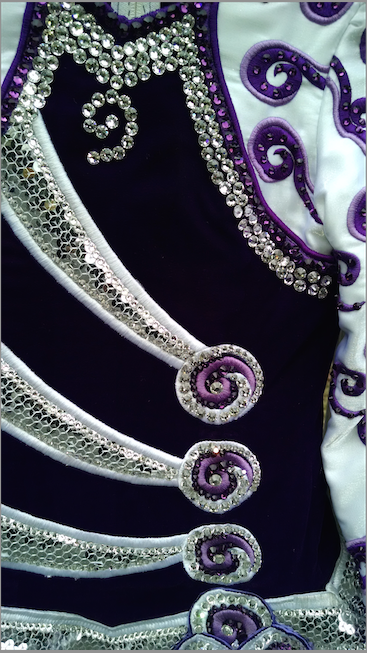 Dress, cape and headband are detailed with hundreds of Swarovski rhinestones in crystal and amethyst. 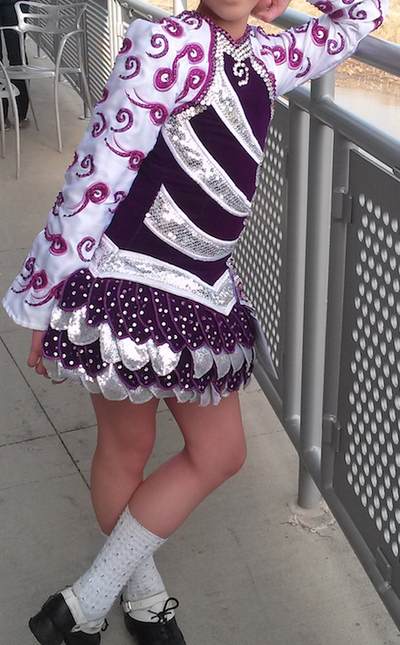 Includes accompanying cape, headband and bloomers along with extra purple petals to add for length. Fits U.S. sizes 8-11. 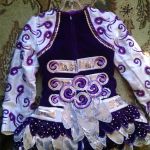 Worn by PC10/OC11 dancer.